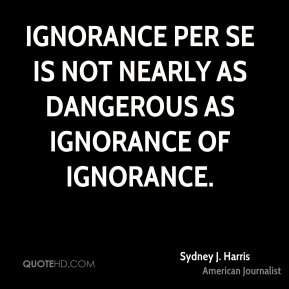 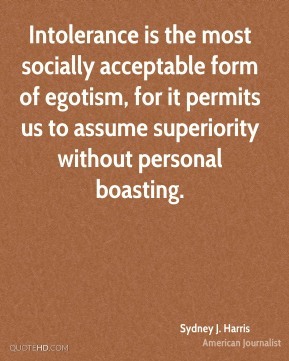 Intolerance is the most socially acceptable form of egotism, for it permits us to assume superiority without personal boasting. 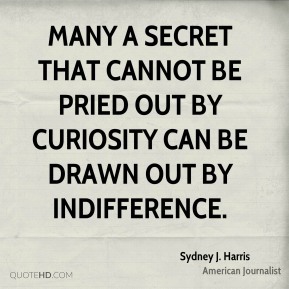 Many a secret that cannot be pried out by curiosity can be drawn out by indifference. 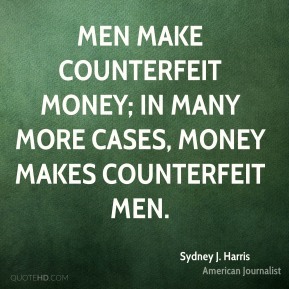 Men make counterfeit money; in many more cases, money makes counterfeit men. 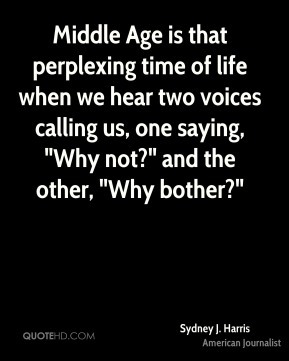 Middle Age is that perplexing time of life when we hear two voices calling us, one saying, "Why not?" 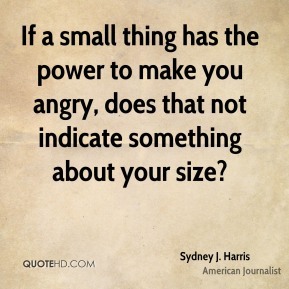 and the other, "Why bother?" 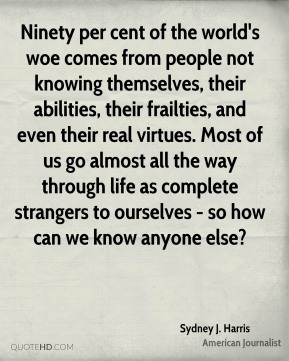 Ninety per cent of the world's woe comes from people not knowing themselves, their abilities, their frailties, and even their real virtues. 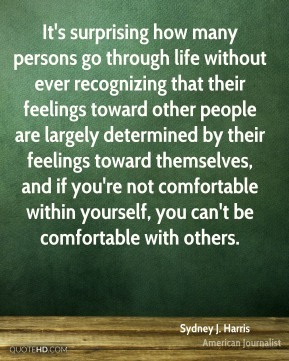 Most of us go almost all the way through life as complete strangers to ourselves - so how can we know anyone else? 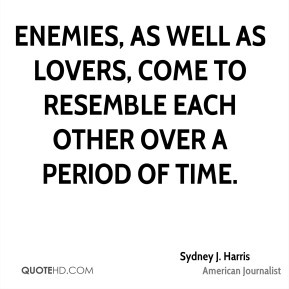 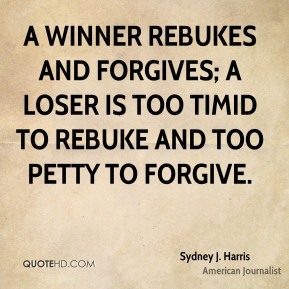 A winner rebukes and forgives; a loser is too timid to rebuke and too petty to forgive. 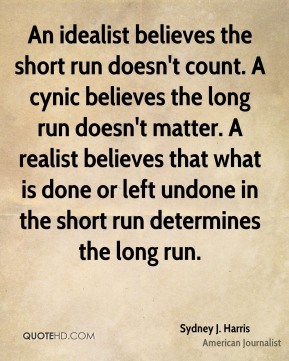 An idealist believes the short run doesn't count. 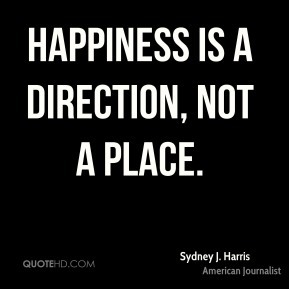 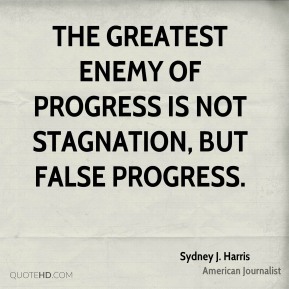 A cynic believes the long run doesn't matter. 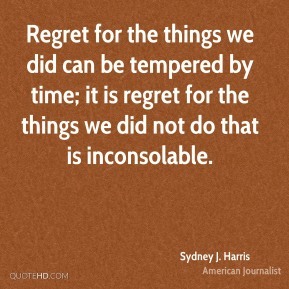 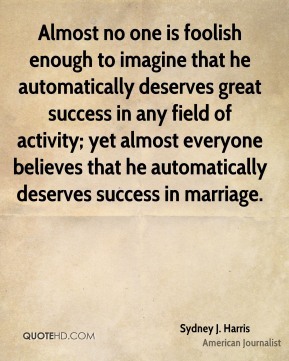 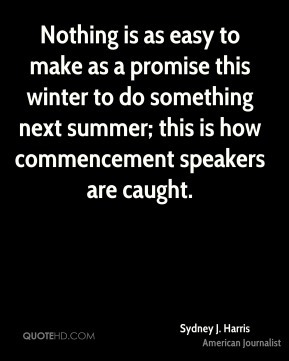 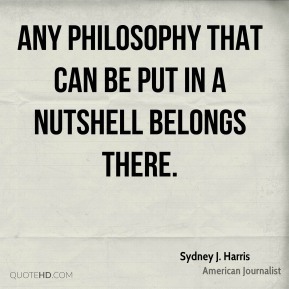 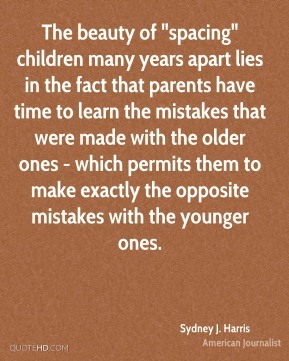 A realist believes that what is done or left undone in the short run determines the long run. 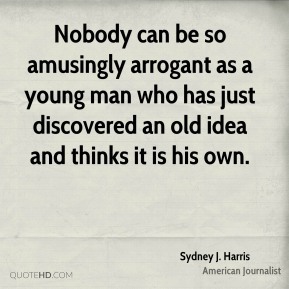 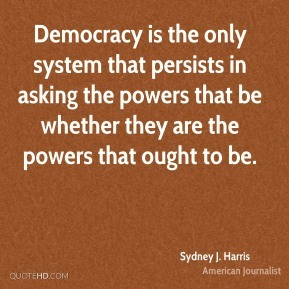 Democracy is the only system that persists in asking the powers that be whether they are the powers that ought to be. 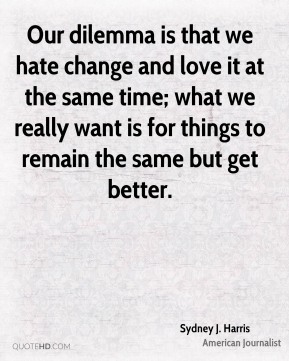 Our dilemma is that we hate change and love it at the same time; what we really want is for things to remain the same but get better. 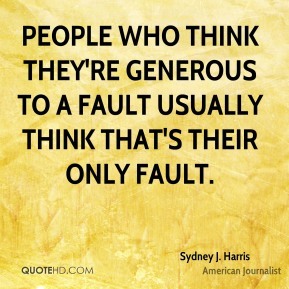 People who think they're generous to a fault usually think that's their only fault. 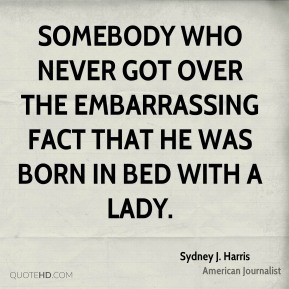 Somebody who never got over the embarrassing fact that he was born in bed with a lady. 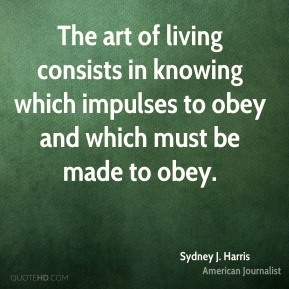 The art of living consists in knowing which impulses to obey and which must be made to obey.